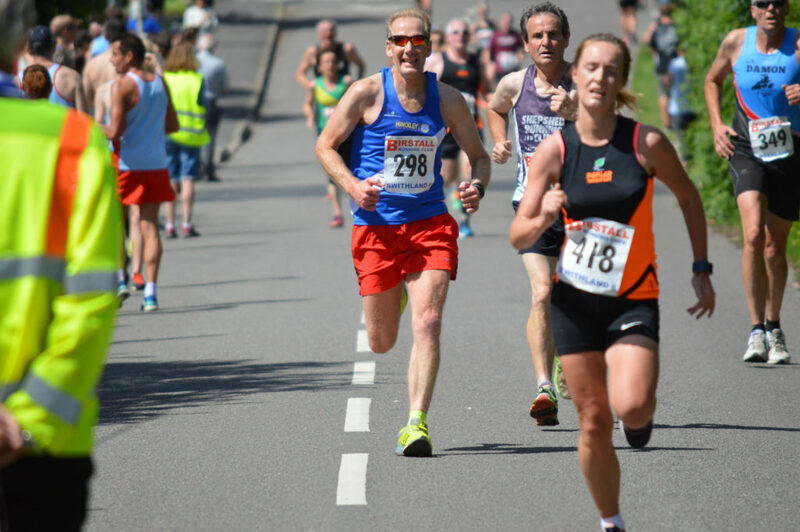 Added Joy Cann 5 Draft Results to the 2016/17 Races & Results page (via Huncote Harriers). Hollycroft park. Little & Large Hill training. A small hill and then a big hill with different recovery lengths between each loop so please bring watches. Leisure Centre 6:25, 6:40 start at the bottom of the park. Non members are invitied to join us and come along to try out the club. Meet from 6.15 at Hinckley Leisure Centre. 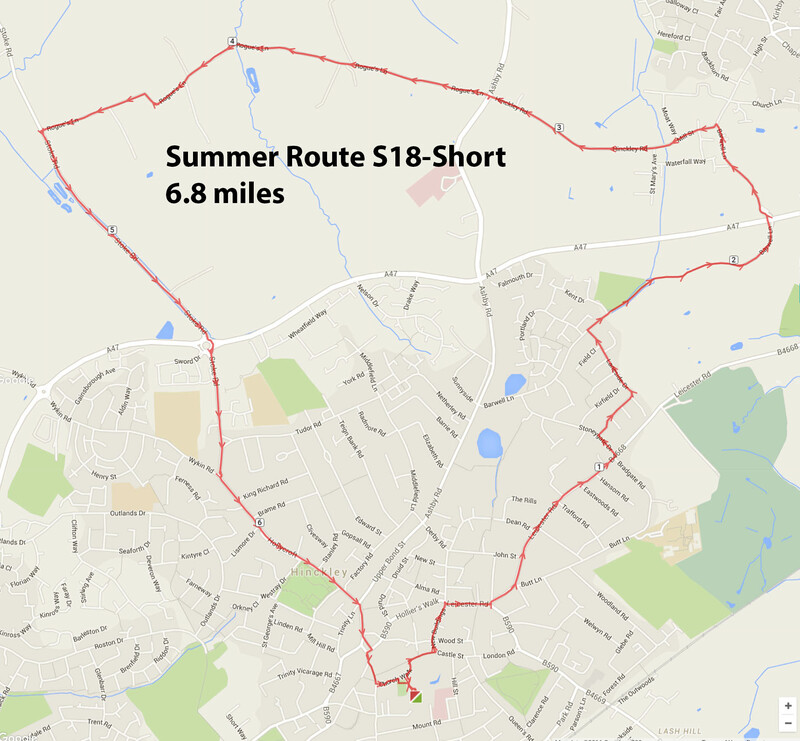 This week’s route is S18 in the big book. Out on Barwell lane to Barwell. 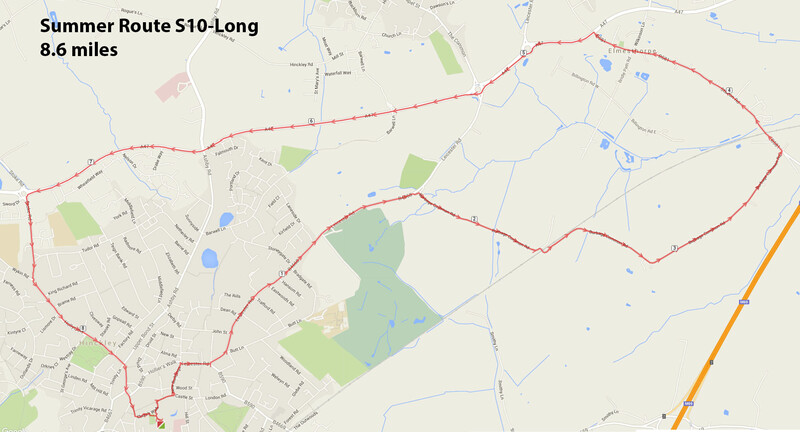 Short route comes back via Rogues Lane whereas the long route goes out to Stapleton. Meet 6.15pm at Leisure centre for 6:30 depart. Non-members are welcome to join us to try out the club – just come along to the Leisure Centre . In summer we meet out in front. Non members are invitied to join us and come along to try out the club. Meet at 6.15 at Hinckley Leisure Centre for 6:30 depart. Added Hungarton 7 Final Results to the 2016/17 Races & Results page (via LRAN). This week we will head out on the roads then back along the Ashby Canal towpath – route S12 in the book & on website. Non-members are welcome to join us to try out the club. Just come along to the Leisure Centre. 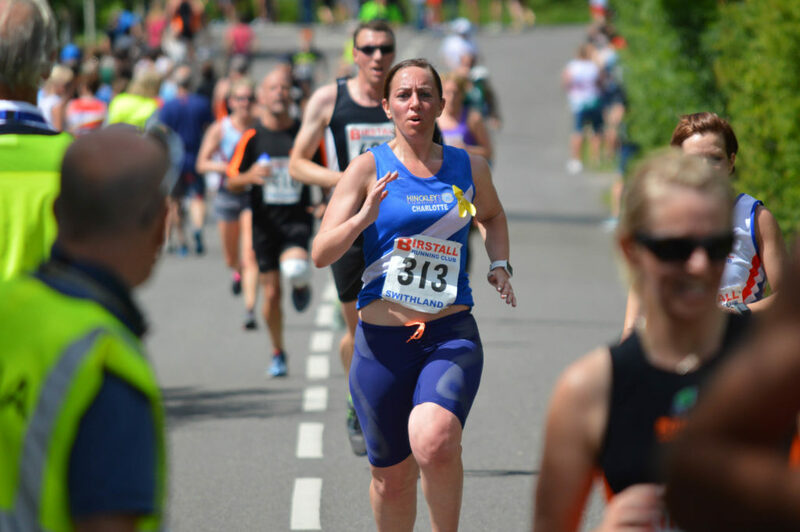 Entries are now open for the John Fraser 10 on 3rd September. S10 short and long from the ‘big book’ and on our website. Long route heads out along Burbage Common Road towards Elmesthorpe. 6.30pm prompt departure from the leisure centre. Non-members are invited to join us and come along to try out the club, just come along to Hinckley Leisure Centre. We meet out in front from about 6:15. 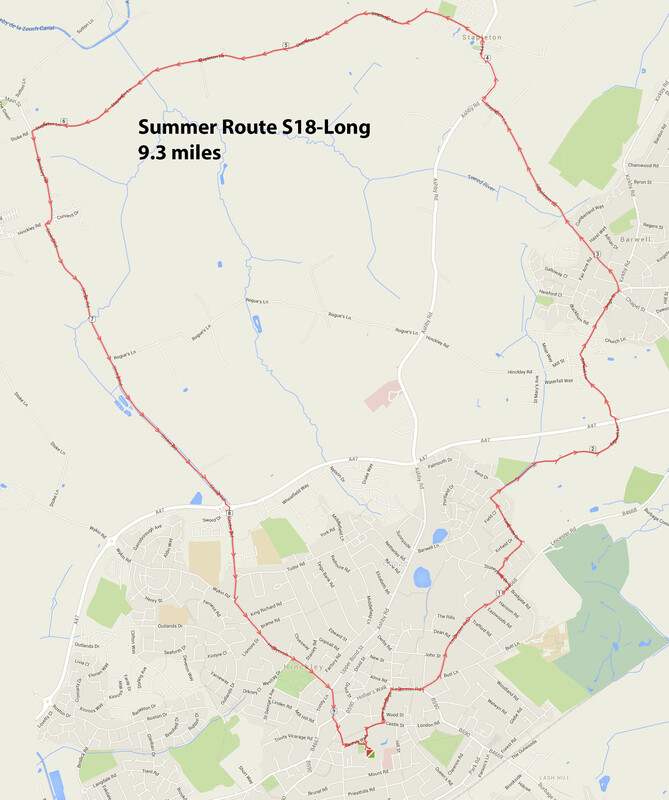 Long Route 8.8 miles: ref: ‘S13 Long’ in the ‘big book’ and on our website (see the ‘Thursday evening routes’ link). 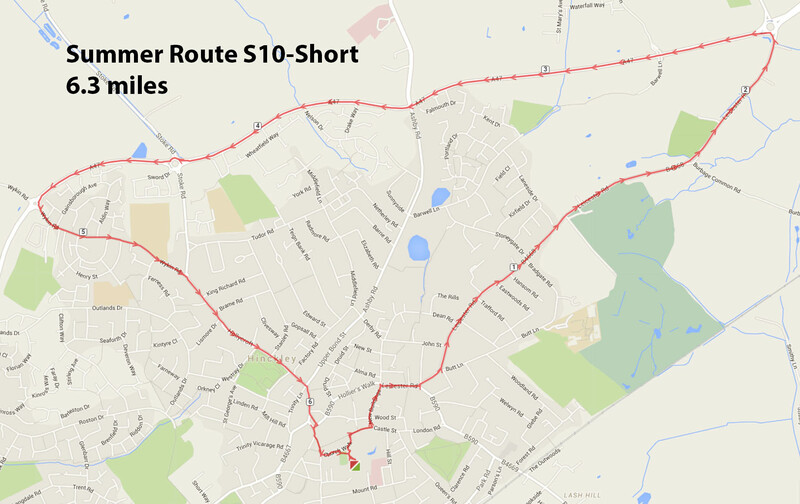 For the shorter route, omit the Rogues Lane loop and head straight back along Stoke Road to Morrisons then home – this will make it a 6 mile route. 6.30pm departure from outside the Leisure Centre. Non-members are invitied to join us and come along to try out the club. We meet from 6.15pm in front of Hinckley Leisure Centre for 6:30pm depart. 2 minute rest then change direction heading out in the opposite direction you started. The purpose of this session is to practice negative splits. 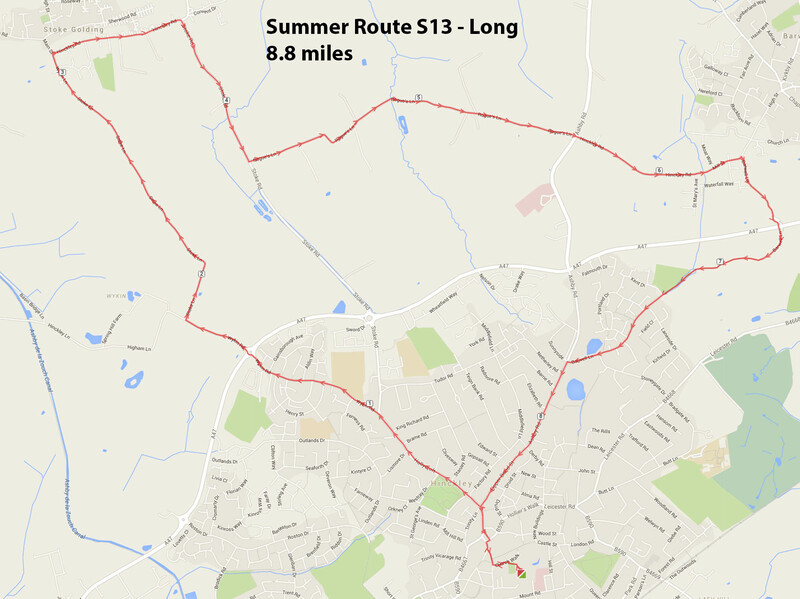 As I am not sure how hot / humid it is going to be tomorrow, I have planned two routes (not in the ‘big book’!!) which include Burbage Woods and which stay pretty close to home so anyone who is struggling in the heat can get back easily. Most of you are familiar with the woods so I hope can make sense of the route (!) but have a good look at the routes (it makes more sense if you use the ‘satellite option’ on ‘Mapometer’) before you come to the club and we will also make sure that everyone is running with someone / a group who knows where they are going!! Please keep hydrated if the temperatures are still high. Hinckley Leisure Centre 6.15pm for 6.30pm departure. Non members are welcome to join us and come along to try out the club. Full results as usual on the results page. League wise, the women’s team have lifted themselves out of the relegation places with the strong showing of the last two races putting them firmly 6th. Meanwhile the mens team have dropped a little and are battling Desford for the 5th spot. Thanks to Team Anstey and Birstall RC for putting on these two excellent races. 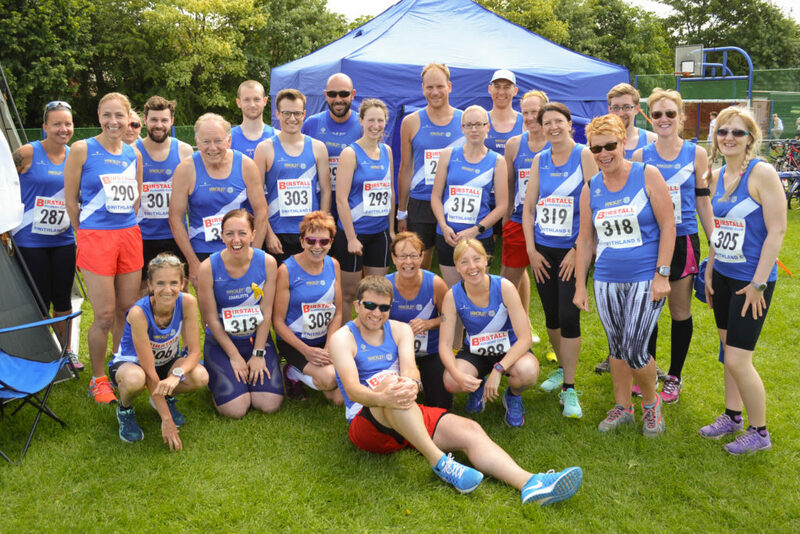 The next LRRL league race is the Wreake Runners Hungarton 7 on 5th July – enter here! Meet at the Leisure Centre 6:15pm for 6:30 depart or at Hansom Cab 6:40. 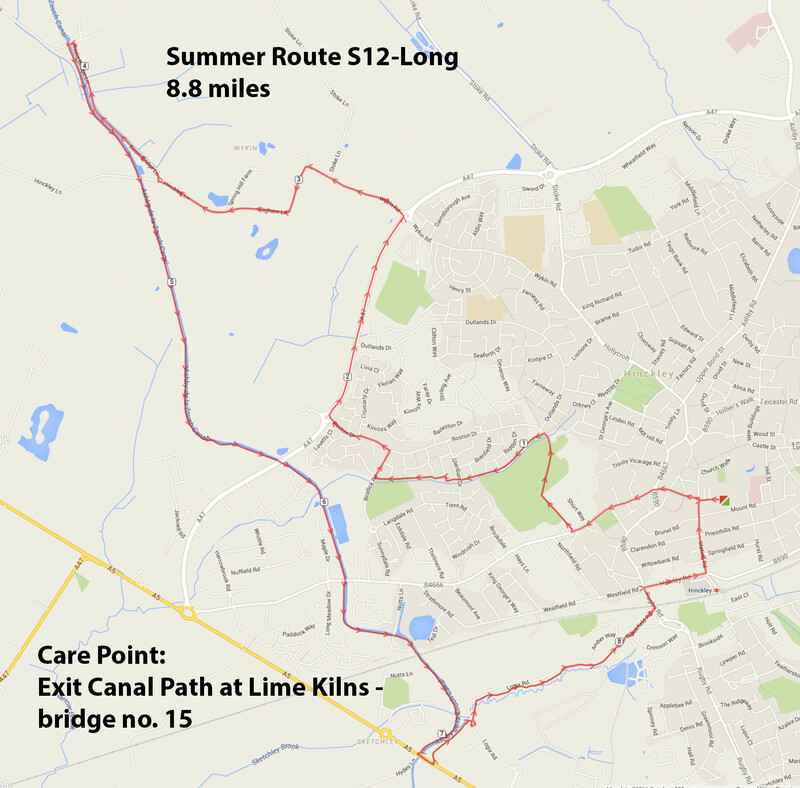 Thursday’s routes…a bit of off road out to Higham on the Hill. I may not be able to make it but Paul has kindly offered to lead groups out for the first part of the route. 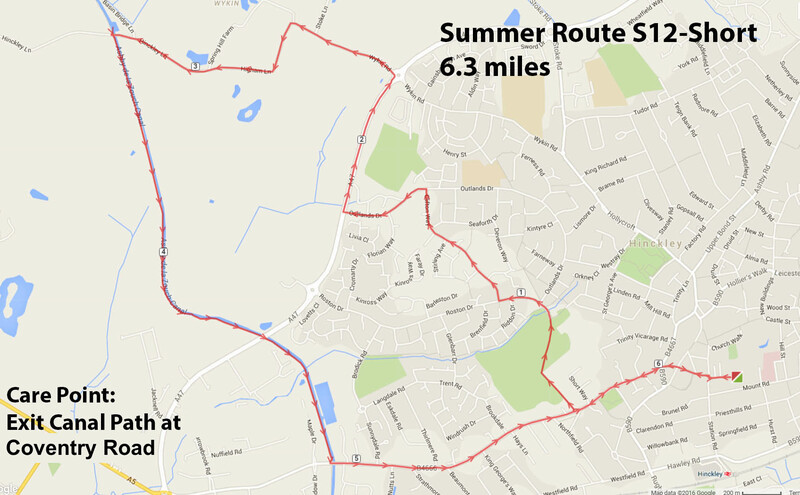 6.15 meet for 6.30 departure from the leisure centre. Updated the 5k Time Trial page with the latest results.